Gifts from the Pirates: "It's impossible to make your eyes twinkle if you aren't feeling twinkly yourself." The Weather is really throwing a spanner in the works for us at the moment. Opeie and I are desperate to go camping and after our failed attempt a few weeks back when it thrashed it down on arrival, every time we've looked to go since the weather has been awful along the coast. This week gave us another 2 days with nowhere to be so we looked at the weather again and yet again Disappointment! We decided instead to head to London and do a spot of adventuring. On the way to London during our last visit, we decided to visit Wendover woods to hunt for the Gruffalo hiding at the forestry commission site. Being such a long drive from Shropshire to London, stopping off to break up the journey really makes a difference. The night before starting our journey I googled 'attractions off of the m40' and then looked for museums and the perfect place to visit popped up. I didn't let Opeie know where we were going as I thought it would be a really nice surprise after a 2-hour drive. When we parked up in Great Missenden, Opeie was excited about stretching his legs and finding out where we were going. 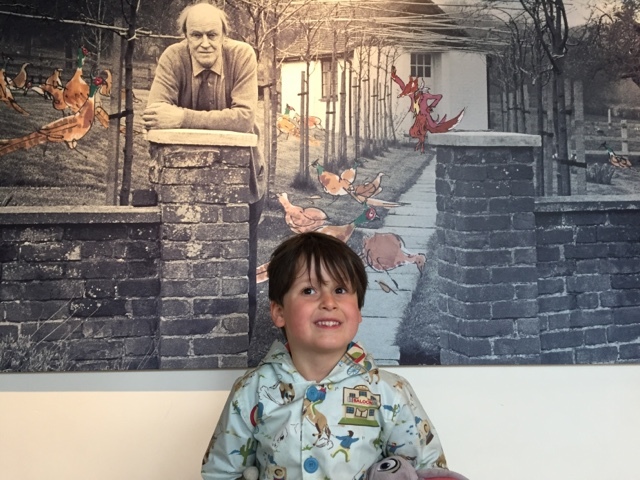 When we arrived at the museum we passed the shop window first and he noticed some Roald Dahl books, so when we rounded the corner and passed through the archway Opeie really started to get excited. 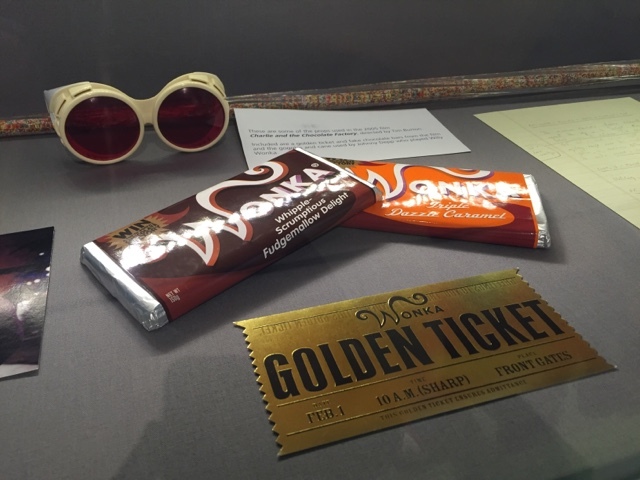 I've wanted to visit the Roald Dahl museum for quite some time and with me and Opeie 3/4 of the way through Charlie and the chocolate factory it seemed like a very fitting time to make that visit happen. We've been reading the book every day for the past week and Opeie is really getting into it, so you can imagine his excited little face when we rounded the corner and found doors made of giant Wonka bars, what a great start to the visit. 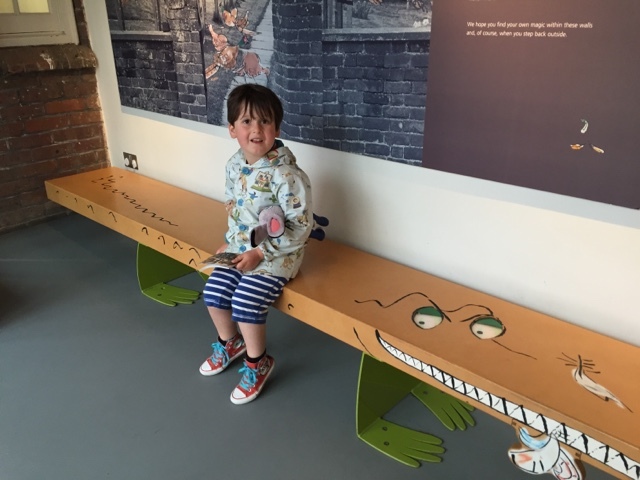 We had been bought The Enormous Crocodile from our friends over at Another Last Story a while back which we both loved and despite knowing the story Opeie still fell for the Croc disguised as a bench. Thankfully he was safe, though. My Roald Dahl trivia knowledge was rubbish, I just knew that he wrote great books! so it was really interesting to learn about his life and how he came to become a writer of children's books. 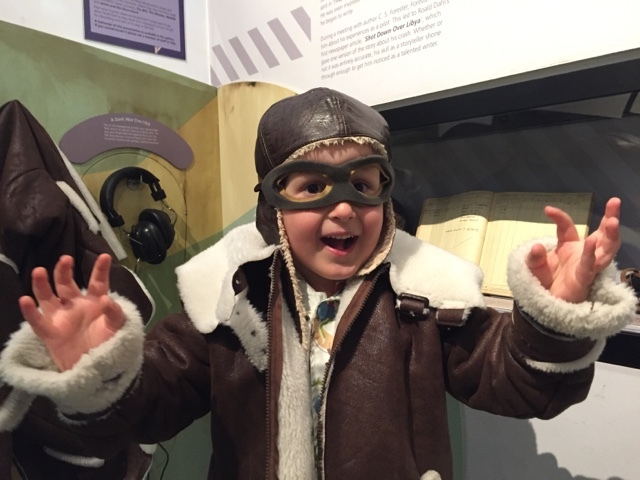 Opeie was fascinated to learn that he was a pilot during the war and being able to dress up like a pilot too really got my passionate new reader excited. 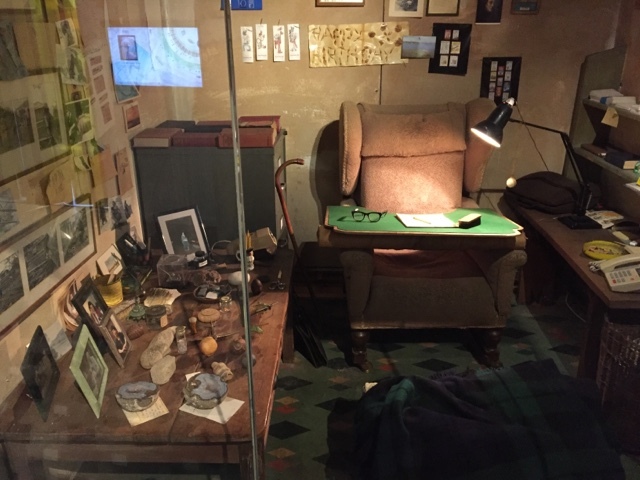 What really stuck out for Opeie about the visit though (apart from the Wonka bar doors) was Roald Dahl's little hut where he went for four hours a day to write. His homemade felt covered table, sleeping bag to slide his legs into, and cannister of coffee was too cute. 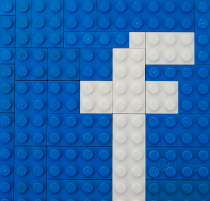 It made me think that maybe I should transform our shed for blogging! With lots of props from the movies and books to sit and read while you are there it really is the perfect Museum for excited little fans of literature. 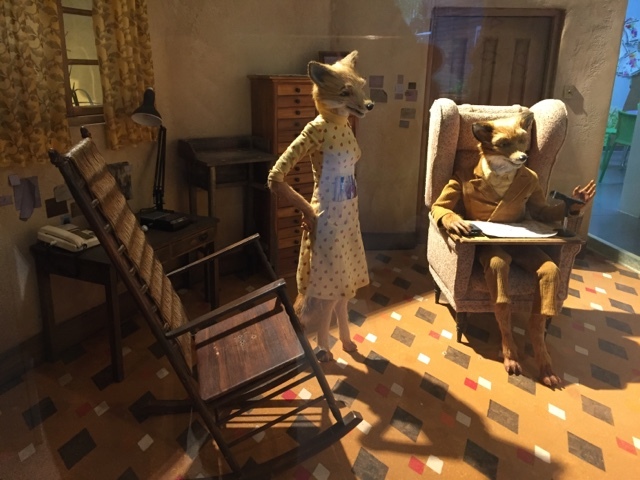 We didn't think much of the newer Fantastic Mr. Fox movie but the film prop was amazing to see. 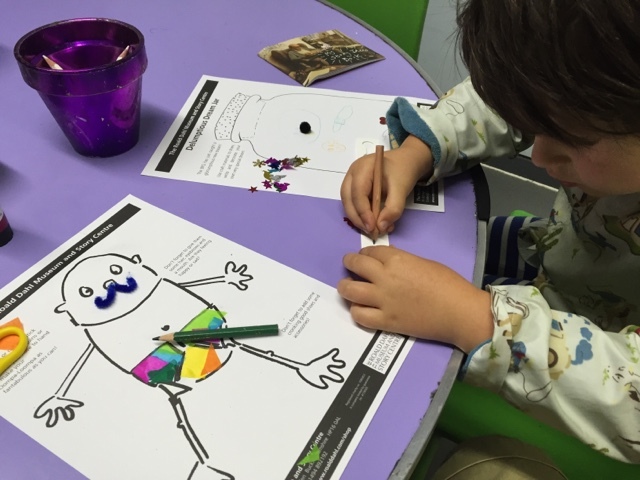 The Museum is really interactive with lots of things to keep you and your little ones entertained. With 'create your own movie' sets and activities like writing your own stories using word tiles, It is a museum we are sure to be visiting again. 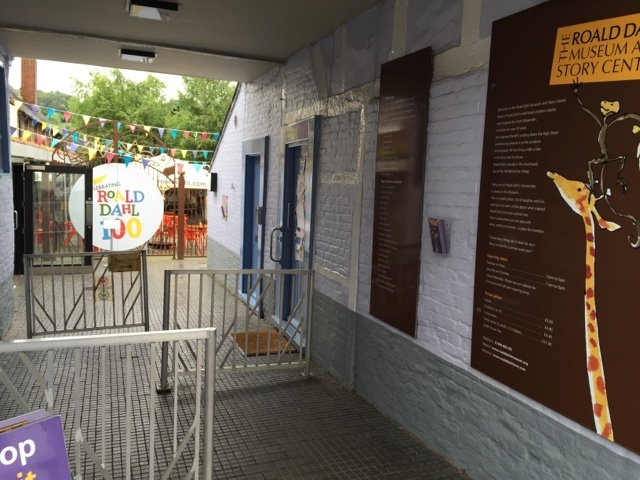 The Roald Dahl museum was a perfect distraction for our 3-hour drive and with only an hour left to go, it was spent excitedly talking about Roald Dahl and all his magical stories.